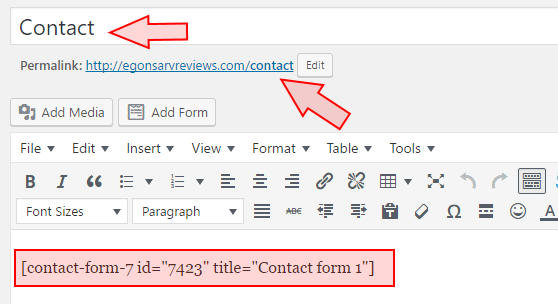 How to create contact form for WordPress? In this quick and easy tutorial, I show you step-by-step how to create and set up both – your Contact form and Contact page. No, I don’t mean a complicated Contact Information Page like some large corporations like Forbes (see here) or Entrepreneur (see here) have. A really simple one. Such like Jeff Bullas uses on his blog (see here). 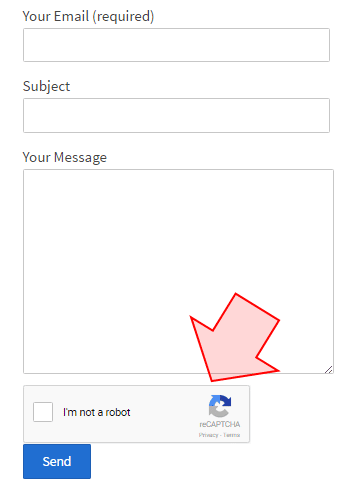 Also, I will show you how to protect yourself from spam and abuse by adding ReCaptcha to your contact form (if you should need it). So no more messing around. Let’s dig right into the details. Do you want to know how its default contact form looks like? A default contact form is prepared for you. Minor (or no) changes needed. Create a new Contact page. 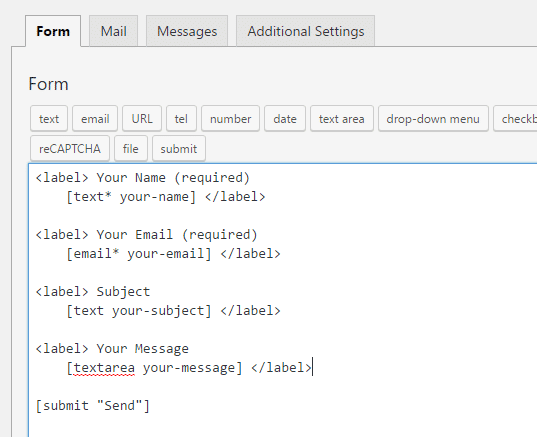 Copy and paste the HTML code (an easy part) from the form to the newly created page. Add CAPTCHA, if you want. READ ALSO: Blank Web Page Template in WordPress – How to Make It? That’s it. The plugin is now up and running. 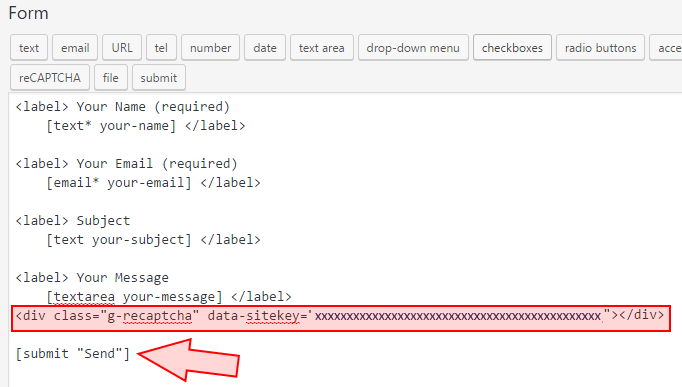 This shortcode is a piece of code that you later need to copy and paste into your Contact page. Here you understand why a basic knowledge of WordPress administration is required. However, at this point, everything you need, is already here. At this stage, you need to change nothing. The trick is: When customers fill the form and send it to you, this plugin will send it by email to the very email address that you provide here. The next tab ‘Messages’ is also pre-populated for you. Scroll quickly through the list and see if you feel happy with the messages. If not, do your changes. The final tab ‘Additional Settings’ is for those who feel comfortable with coding and want to make bigger changes to their forms. You can skip it. After you have finished with the changes, click on the ‘Save’ button. Or navigate back to Contact → Contact Form where there is also the same shortcode. 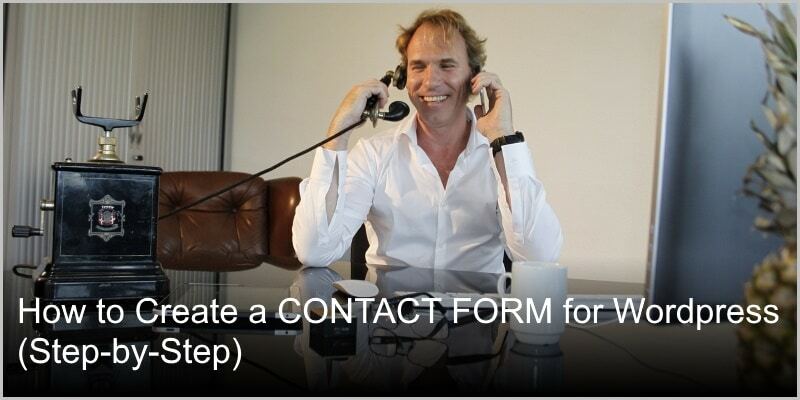 Now you can leave from the Contact Form 7 plugin page. Go and create a create a new WordPress page (not a post). It’s simple, isn’t it? You know how to do it (Pages → Add new). Name the new page ‘Contact’ or whatever you like your contact page to be. That’s all you need to write into the contact page. Next, publish the page. Then see how it looks like in real life. Send a test message through the newly created contact page and see if you receive the email. You don’t like spam, do you? Neither do I.
That’s why you may want to add ReCAPTCHA to your newly created form. Well… How to do it? First, you need to register your site with Google and get two important snippets (or scripts). Second, you need to include these snippets in appropriate places. So let’s do it. Under the red headline (see the image above): “Step 1: Client-side integration,” copy (Ctrl-V) the first of the two snippets (or scripts). Then open your Header.php file (In WordPress, navigate to Appearance → Editor, then from the right-side list, choose Theme Header (header.php). Now your website is ready ta accept the Google ReCaptca service. For this, copy the second snippet from the Google ReCAPTCHA page (see Step 1). Go and open again your newly created Contact Form (Contact → Contact Forms, then open Contact form 1. Step 4: Test Your Contact Page with ReCAPTCHA. If not, check if you did everything right. There must be some mistake. Hey, Jamie, and thank you for the feedback. Now… My face is burning with embarrassment because of that 1 month late reply. I am sorry. I was away in August and thus could not answer your comment. Anyway, now I am back and ready to clean up my mess. 1. What are the basic problems that you blog has? Could you figure out. 2. If you are looking for good WordPress themes, why not try WPZoom themes? Yes, I use their Diamond theme for my blog. 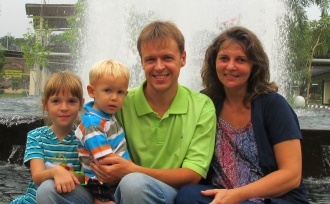 Check out, maybe you find something for your blog as well. 3. What do you mean with the “getting a positive result after performing this myself?” Can you explain it a little bit, please? So just “dive in” and take action. You’re in for a treat. If you have any other questions, just let me know, okay?